Jerusalem is Israel’s largest city both in terms of population and geographic area and yet we maintain strong personal connections and a neighborhood feeling. Two of the candidates for Jerusalem’s municipality are people with whom I am connected through my business. I have seen them both in the weeks leading up to the election. 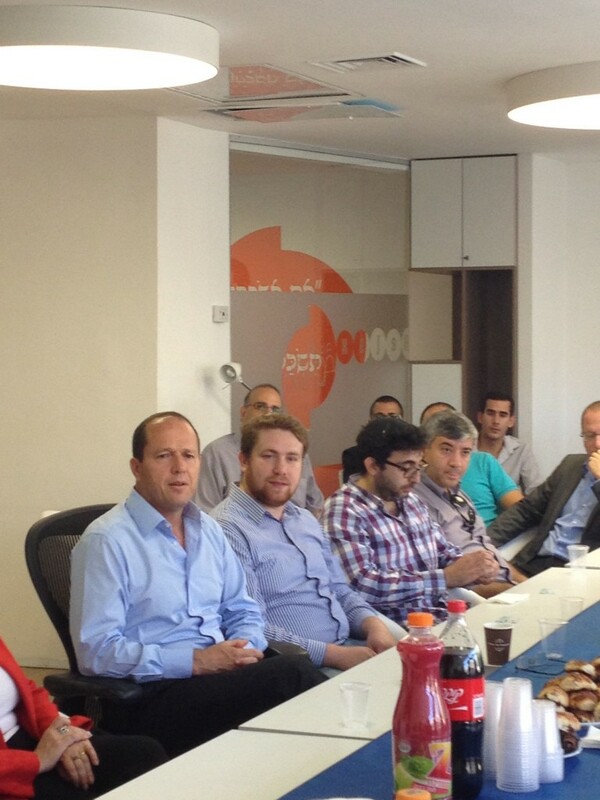 In addition I attended a brunch with the Mayor last week with about 50 other of Jerusalem’s entrepreneurs. Having a personal connection with candidates is part of what gives Jerusalem its small-town feel, in my opinion much more that the other Israeli urban centers. When I first came to Jerusalem, I was envious of those who walked into the corner neighborhood grocery store and chatted with the owner as old friends or who walked down the street and inevitably bumped into people they knew. Now, after living in Jerusalem for almost twenty-four years, it is rare that I go out without seeing a friend or acquaintance. Jerusalem herself has become an old friend who I know well. I have seen her through some hard times when others abandoned her and stood by her as things got better. With the results in, Mayor Barkat will be continuing to build a better city to live in and one which will be a leading destination not only for tourists, but also for students, young people and businesses in which to establish themselves. As Barkat, a former high-tech and social entrepreneur, told us at brunch, the number one determining factor for where an entrepreneur establishes a business is where s/he and their spouse want to raise their children and Barkat is making Jerusalem that special place. Jerusalem continues to be alive with concerts, exhibitions, street fairs, races (marathons, biking, even Formula One). This coming month the streets of the Old City will be transformed into a medieval casba filled with knights, entertainers and other personalities peddling their wares and entertaining us. It seems that every week there are numerous unexpected events popping up around town. The infrastructure of the city is changing as Barakat has set a target of 10 million annual tourists up from the two million he inherited. With one line of the light rail completed and operational, Barkat is commencing upon another two in addition to a cablecar to the Kotel. Each train is equivalent to ten busses so not only are they cleaner, safer and faster, economically they are more efficient and more beneficial to the city. Jerusalem’s main thoroughfare downtown, Jaffa Street, is now closed to cars and even busses, open only to pedestrians and the light rail. The overall atmosphere of the city has been transformed. The First Station (the regentrification of the old train station into an event venue with regular family activities, exhibitions, an open air market, shops and restaurants), as well as the bike path which spans southern Jerusalem from the First Station to the Jerusalem Biblical Zoo has, within half a year, turned into an indispensable part of the city’s social scene. A city which only a short time ago seemed closed and repressed is now vibrant and alive. New businesses are opening and public transportation is improving. Neighborhood commercial centers are one of the targets for Barkat’s next term as he moves from macro to micro projects. As my friend, Rachel, wrote on Facebook, this change is not only noticeable to the resdents of Jerusalem, but to its visitors as well. As a matter of fact, this year, Jerusalem surpassed Tel-Aviv and Haifa as the leading city in domestic (Israeli) tourism. Whereas not so long ago Jerusalem’s young people would go to Tel-Aviv for the evening, now Tel-Avivians come to Jerusalem for festivals and good times. In the aftermath of these elections Jerusalem is optimistic and hopeful. I am feeling blessed to have the opportunity to live here. Not everything is perfect, but it is ours – and we are doing the best we can to continually improve our eternal Jewish home. If you haven’t been for a visit recently, now is the time to plan your trip to Israel. If you are waiting for a personal invitation, you just received one. And as regular readers of my column know, you are invited for Shabbat dinner. It’s not too late to be able to say “This year in Jerusalem” at your seder table. This entry was posted in Home in Jerusalem, Published in The Jewish Community Voice of Southern NJ and tagged Aliyah, Business, Israeli politics, Photos, Tel Aviv, tourism on October 29, 2013 by charlie.